Grown in Uji, which is regarded as the center of Matcha production. 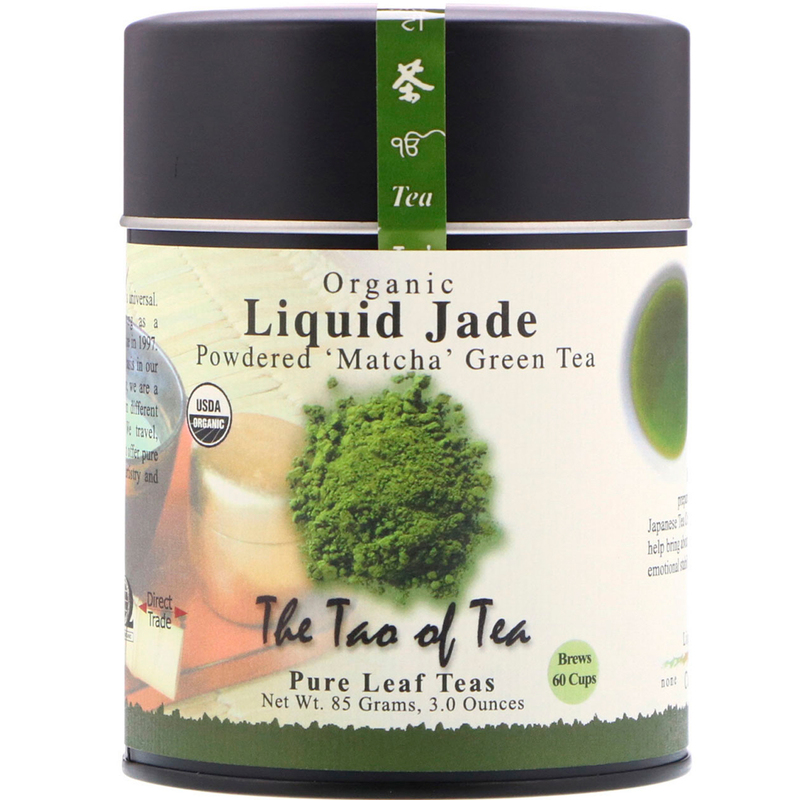 Matcha, has a rich history and a special spiritual significance. It has traditionally been prepared in 'Chanoyu', the Japanese Tea Ceremony, and it said to help bring about mental concentration, emotional stability and composure. Unlike other teas whose leaves are infused in water and discarded, Matcha powder is whisked into the water, and contains beneficial vitamins and minerals. It has higher beta carotene than spinach or carrots, and generally higher antioxidants than most teas, as well as close to zero calories. In making this tea, the tea plants are covered with bamboo mats in the last few weeks of their growing season to promote the development of chlorophyll, which adds to the color and flavor of the tea. After the leaves are plucked, they are steamed, then rapidly cooled and ground by stone mills into a powder. A single mill can only process 40 grams of leaves per hour. Sweet, buttery and rich oceanic taste. It is ideally prepared with a bamboo whisk in a bowl. However, it can also be prepared in a variety of drinks, shakes and smoothies. 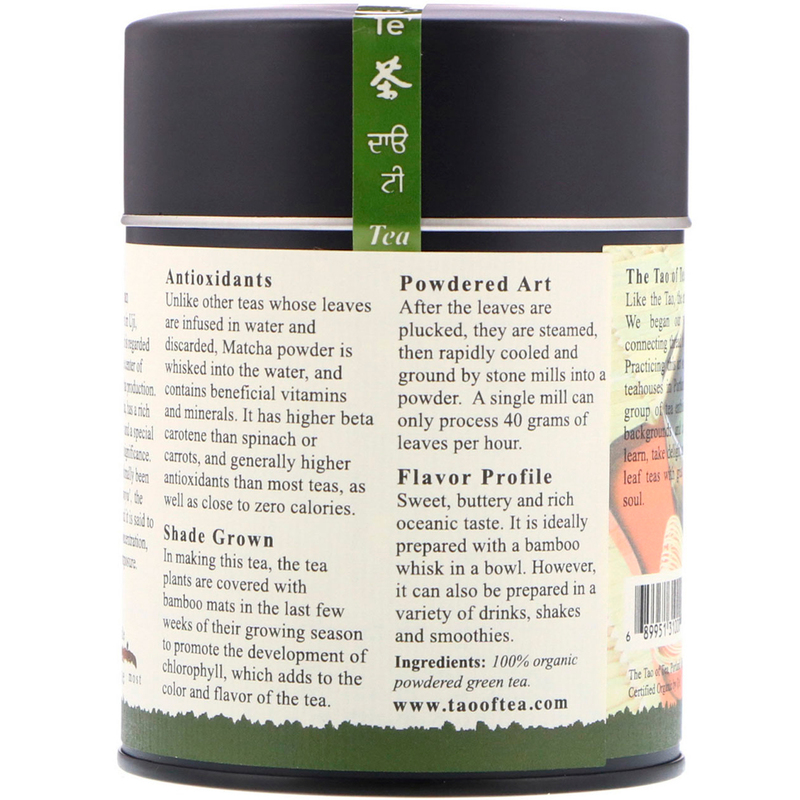 100% organic powdered green tea.